Ginseng slices Korean Red Ginseng Sliced: It is a product with a soft, chewy texture and red ginseng flavor. 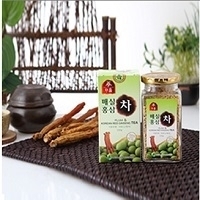 It is a product made by processing red ginseng. It keeps the ingredients of red ginseng . It is easy to carry and it is a product made easy for anyone to eat even in outdoor activity as well as substitute for snack . 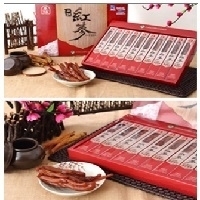 This product is made from red ginseng sliced of red ginseng ingredients , so you can carry it conveniently for outdoor activities and take it as necessary. Hongsamjeong and Korean honey Red Ginseng: This product is easy to ingest and is good for both before and after exercise In particular, candidates and children may drink with milk or beverage, and adults are also suitable for a drink . This product is very easy to carry, so men and women of all ages can enjoy it before or after the travel. Particularly, it can be a good snake for examine, children as well ad accompaniment of drinks. Korea Red Ginseng Extract: Health functional food It is general red ginseng concentrate product not red ginseng solution. 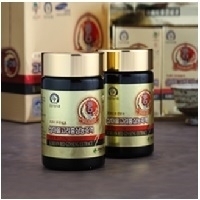 This product is for those who are burdened with the price of dry red ginseng concentrate. 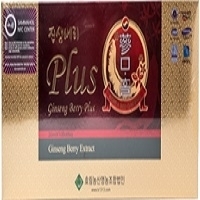 Ginseng berry Plus Ginseng Verry Plus: This product is a product that combines Aronia concentrate and grape concentrate. It has been made to make it easier to ingest by mixing the highest amount of anthocyanin, which is the most effective antioxidant, anthocyanin, to the modern man's taste. It is a product made to feel bitter, sour and sweet flavor by adding functionality. The product Ginseng Verry Plus It contains more than 70 Percent of ginseng fruit pulp concentrate. In addition, it is a product that combines body cherry concentrate, Aronia concentrate, and grape concentrate. In addition, it is an excellent product for people who like to eat, drink, drink, drink, drink, and drink. Short on time? Let ginseng sellers contact you. Samma Hall Korea Red Ginseng Concentrate is a product approved by the Korea Food & Drug Administration as a product that can help improve blood circulation and, memory through immune enhancement, fatigue improvement, platelet aggregation inhibition., As a health functional food product certified by the Food & Drug Administration, this product helps flow of cohesion of platelet, recovery from fatigue, increase of immunity, improve one's memory. Plum Red Ginseng Tea: Granular Tea Containing Red Ginseng Concentrate and Plum Concentrate.This product combines the unique taste of red ginseng with the sweet and sour taste of plum, making it a delicious product for all ages. Granulated Dropbox Made by blending the Red Korean ginseng: extract with plum This Is the the People of the Product by the can be enjoyed trade shows all ages due to Is the Sweet and Sour Taste of the Red ginseng and plum. Korean Red Ginseng vitality Drink (Root Drink ): Drink product with one root ginseng" It is a drink containing one root of domestic ginseng. It is a drink product with red ginseng concentrate and ginseng mixed together. Enjoy a refreshing drink while you eat ginseng roots. Its a strategic item for export. Red ginseng liquid and raw ginseng root harvested in Korea are ideally harmonized in Hwallyeoksam ginseng root drink Vitality Ginseng Root Drink. 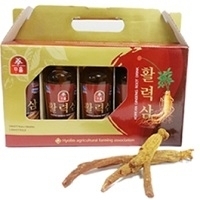 Korea Red Ginseng Vitality Jin: In addition to red ginseng, which is the main raw material, red ginseng vitamins are formulated with the best ratio of honey to the body and the concentrate of antler. 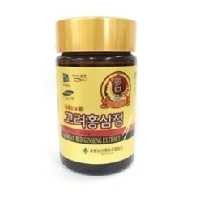 Honey bee and Nokyoungbeabo antler and herbs concentrated ideally mixed with korean red ginseng, the main ingredient in Korea red ginseng to provide best quality and taste. Berry berry good product contains more than 70 percent of ginseng fruit pulp concentrate. In addition to this, it is a product with a healthy blueberry concentrate, cherry concentrate and raspberry concentrate. Also , it is made to make it easy to ingest by mixing products containing high amount of anthocyanin, which is an antioxidant substance, and excellent efficacy of the fresh juice berry to meet the taste of modern people . It is a product that can feel bitter, sour and sweet flavor. The product Verry Verry PLUS It contains more than 70 percent of ginseng fruit pulp concentrate. It is also a product that combines healthy blueberry concentrate and cherry concentrate and raspberry concentrate. In addition, to meet the modem people, the excellent efficacy of berry juice and antioxidant, anthocyanin, a product that contains a large amount of mixed, making it easy to ingest and its bitter, sour, and sweet flavor. Jatip ginseng tea: Granular Tea Containing Red Ginseng Concentrate and Plum Concentrate.This product combines the unique taste of red ginseng with the sweet and sour taste of plum, making it a delicious product for all ages. 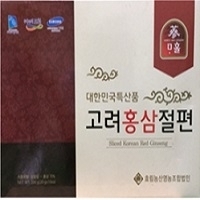 Granulated Dropbox Made by blending the Red Korean ginseng: extract with plum This Is the the People of the Product by the can be enjoyed trade shows all ages due to Is the Sweet and Sour Taste of the Red ginseng and plum. 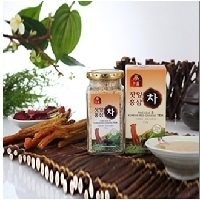 Red and white Korean Red ginseng & Pine Leaf : It is a drink product that combines red ginseng concentrate with mild taste through low temperature aging and vitamin C of phytoncide of shrapnel which is special product of Pocheon . Hong beak drink made by the aging processes has been blended with nut pine leaves and Korean red ginseng, so plenty of vitamin C is contained. 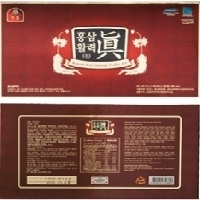 Red ginseng pure gold Mild Korean Red Ginseng Drink: Samma Hall net red ginseng is pure red ginseng product that is made with only domestic red ginseng for a long time and can feel the deep taste and flavor inherent in red ginseng. Undiluted solution of red ginseng made by boiling down for long hours, in which delicate flavor of red ginseng has been preserved. Cinnabaris Spagyric Herbals Pvt. Ltd. This is ginseng extract manufactured by french alchemist petri murien by spagyric method of extraction and it is usefull for physical endurance and stamina. 10 ml glass bottle with dropper. The Asian ginseng. 30 / 50 kgs international standrad PP bags or as required by buyer. Ginseng Is regarded as a remedy for fatigue The energizing effects of ginseng are used to improve concentration, boost resistance, and combat weakness and debility In asian medicine, the herb is used as an aphrodisiac, and is considered a remedy for indigestion, heart problems, and urinary disturbances. One of the most commonly used chinese herbs, in spite of the difficulties to evaluated the effectiveness of the products, there is a widely belief that the product has a high medicinal value Valued as a medicine in china for over 2,000 years, ginseng was once held in such high esteem that only the emperor was allowed to collect it. It has traditionally been used by elderly asians to boost physical and mental vitality and there is so far no known medical conditions preclude or interactions the use of ginseng and there are also no known with ginseng.